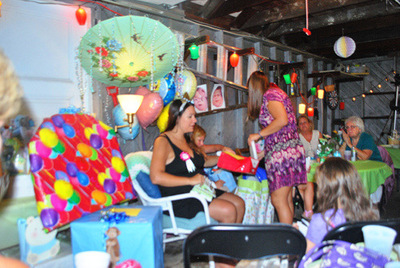 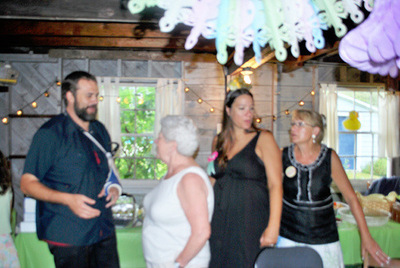 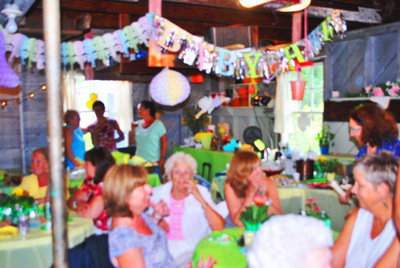 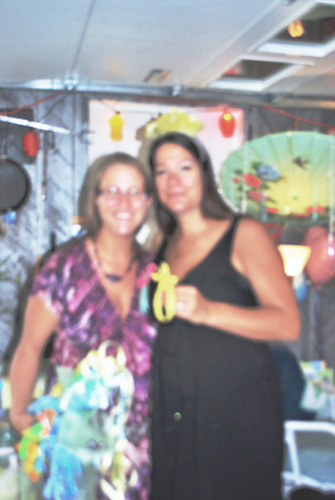 My mother, sister and aunt organized a beautiful baby shower for me at my childhood home in North Attleboro, MA. 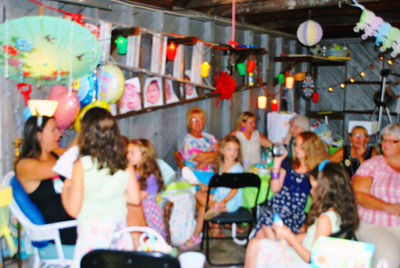 About 50 family members and friends attended and as it poured that day, we held the event in the garage which worked out quite nicely. 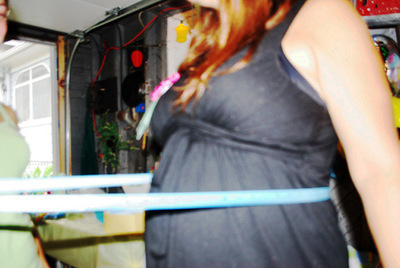 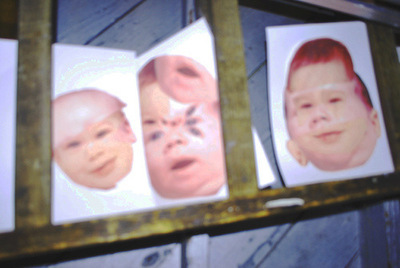 I brought a couple of games that I put together for the guests to play with including “Guess What The Baby Will Look Like”, which involved collaging together fragments of Jason and I’s baby photos, and “Guess Mom’s Tummy Size” where guests competed to guess the circumference of my belly by cutting a pieces of ribbon.